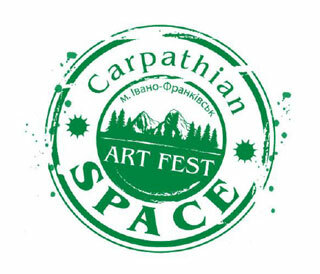 On 03.05 - 05.05.2019 in Ivano-Frankivsk will take place Carpathian Space Festival - international festival of culture and art on 14 thematic locations with music concerts and theatrical performances. The venue of the festival is Ivano-Frankivsk city center. Among participants of the festival are representatives of Ukraine, Georgia, Poland, Azerbaijan, Bulgaria, Hungary, Moldova, Austria, Lithuania, Latvia, Estonia, France, Belarus, Slovakia, Romania, Czech Republic and USA. 18:00 - 18:30 - Theatrical Parade on streets of Ivano-frankivsk starting at Viche Maidan and finish at Multi genre music Space near Hotel "Nadiya"
21:00 - Music concert of headliners "The Hardkiss"
22:00 - Fire Show by artists of Theatre "Resurrection"
16:00 - Performance "What to do in Propasna after 18:00"
18:00 - Performance "Bad Roads"
19:30 - International Gala-Concert "UA: World Masterpieces"
Concert program "Jazz and Tango"
10:00 - 21:00 - Performances of folklore groups from Bulgaria, Moldova, Uzbekistan, Belarus, Hungary, Latvia, Slovakia, Georgia, Czehia, Romania and others. 21:00 - Music concert of headliners "Kazka"
19:30 - International project-concert "10 Tenors"
18:00 - Performance of music group "DaGamba"
21:00 - Music concert of headliners "Willy William"
18:00 - Performance "Sleeping Beauty"
Concert program "Coffee and Chocolate"